Over the years, Nulu has struggled to grow past its linear East Market Street arrangement. Despite its compact grid layout, the street’s activity is still clustered around a few key blocks, with vast stretches of Main Street a block north and Jefferson Street a block south remaining quiet, windswept highways. That’s a problem, says Bill Weyland, managing principal at urban development firm City Properties Group. His company has spent much of the last decade building market-rate housing just south of Jefferson Street in a move to expand the area’s walkability and urban vibrancy. His residential projects include the Edge at Liberty Green townhomes, student housing for medical students, and the recently opened 310@Nulu apartments. So Bill Weyland is setting out to fix those dead blocks. 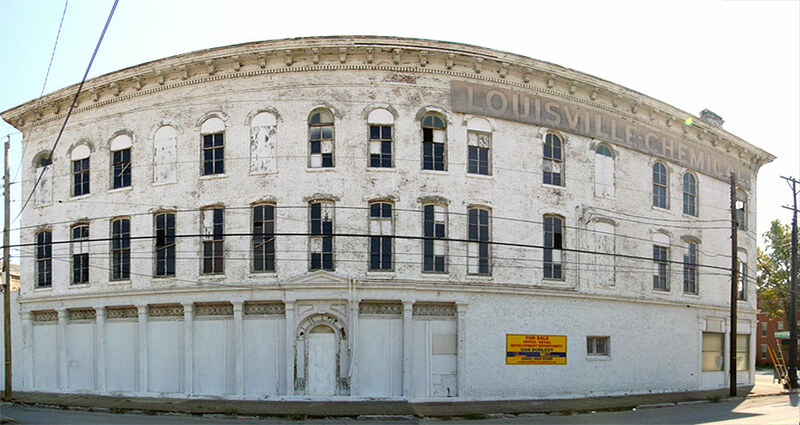 City Properties Group is planning to converting the 125-year-old Louisville Chemical Building on the northeast corner of Jefferson Street and Hancock Street into a mixed-use complex of apartments and retail. “I’ve been looking at this site for five years,” Weyland said. With his 310@Nulu apartments filling up across Jefferson Street, the time to act was right. And the stately, three-story structure at 601 East Jefferson Street certainly has the bones to be a neighborhood landmark. The deal isn’t done yet, Weyland said. A number of environmental contingencies remain on the brownfield site, including abating lead paint and below-ground issues. He and the previous owner Lee Wilburn are in the process of figuring out who is responsible for particular aspects of the cleanup. Weyland seemed optimistic that the project would move forward. 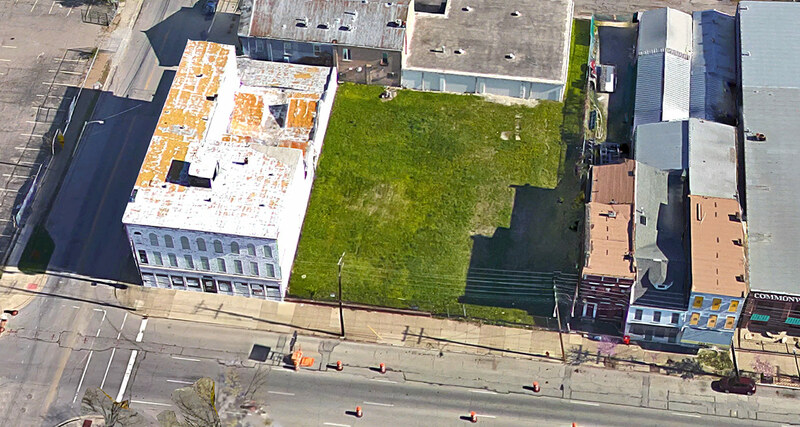 Despite its ominous-sounding name, the Louisville Chemical Company previously manufactured janitorial supplies, not hazardous materials, and realtors told Broken Sidewalk in 2008 that the site was not badly contaminated. Then, the nearly 16,000-square-foot building was listed for $950,000. Seven years later, the price had dropped to at least $670,000. Preliminary plans call for ten or more apartments on the second and third floors with retail on the first. The building is arranged with an L-shaped layout on the top floors overlooking a larger first floor with sawtooth skylights. Over the years, proposals have ranged from office and retail space, to a grocery store, to a boutique hotel. 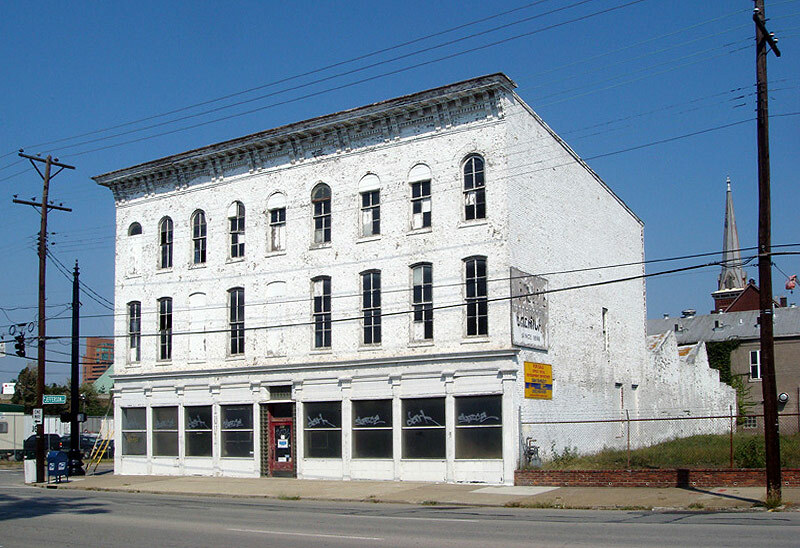 Weyland is the right fit for this rehab project—he’s probably renovated more old buildings in and around Downtown than anyone else. His most notable projects include the Henry Clay, the Guthrie-Coke Building on Fourth, the Whiskey Row Lofts, and the Glassworks Building. Like these other historic renovations, Weyland plans to help fund his latest project using historic tax credits. He is also currently renovating an old LG&E facility on the edge of Old Louisville into the Edison Center, an office building where the city is expected to move hundreds of workers. Weyland’s work at the contaminated site of the Edison Center was helpful in deciding to take on the Louisville Chemical project. “My experience on the Edison Center gave me the courage to act on the Louisville Chemical Building,” he said. “I have been very impressed with the state of Kentucky,” Weyland said. “They have been very professional over the last couple of years in delineating past responsibility vs future responsibility for cleaning up a site. The system works for the first time as far as I’m concerned.” He described the process as a “line drawn in the sand” between past use and future use of a brownfield site that helps redevelopment proceed. But ultimately, redeveloping the Louisville Chemical Building is about the larger Nulu neighborhood, Weyland said. He hopes to foster “the synergies that need to exist between Nulu and Liberty Green so that it becomes a cohesive neighborhood.” Weyland said the next step is fixing Jefferson Street. “On Hancock Street, we’ve got about 260 units of market-grade housing,” Weyland said. City Properties Group has spent years building housing in the area immediately south of Jefferson Street, creating a pivotal residential connection between Nulu’s main drag along East Market Street and the Medical Center south of Muhammad Ali Boulevard. “Jefferson Street needs to be two-way,” Weyland said. The five- to six-lane one-way road behaves more like a superhighway that results in dangerous conditions for all road users. Just last month, two motorists collided at Campbell Street, sending their cars into an uncontrolled spiral that hit a 160-year-old townhouse and causing its eventual demolition. Today, Jefferson Street is a wall keeping Nulu’s commercial energy pent up in just a few blocks of Market Street and hampering the hundreds of new residents south of Jefferson from making the walk north. By addressing development, activity, and, most importantly, the design of Jefferson Street, one day Nulu and Liberty Green could become a unified and vibrant neighborhood. 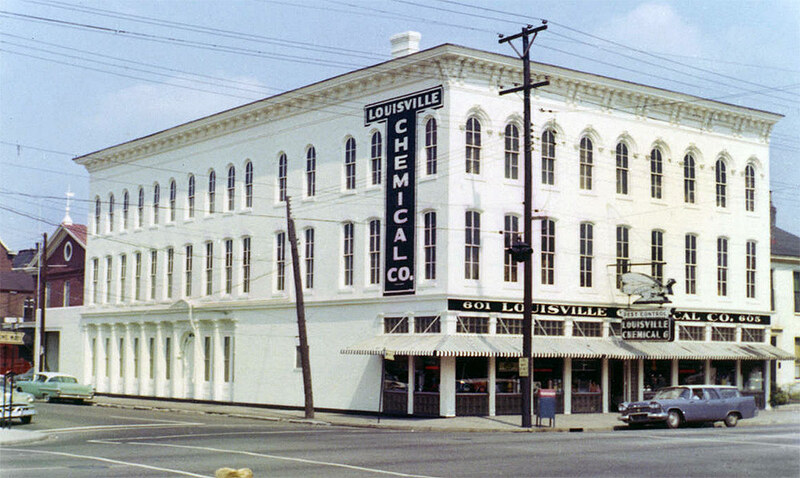 Louisville Chemical used to manufacture Creal-O insecticide there. I used to buy it. There is some debate as whether or not Creal-O was toxic. I grew up on Jefferson St. 4 doors from Louisville Chemical. Property that we rented from Louisville Chemical. My grandfather, father, uncles, brother, friend and ex husband worked there. Our house along with the other homes between our home and the company. Louisville Chemical bought the old firehouse when they moved to Floyd and Jefferson..They build a new bldg. behind our home. We spent many a day in that bldg. Mom cleaned the offices at night. We got.to help, some parts of the old bldg. was a bit scary. But, I would love to walk through it just one more time.. Maybe I could offer some input on the old bldg. I can be reached at jeanie56ky@gmail.com.. subject box Louisville Chemical..
Is this building Schrader’s Hall listed in the Courier Journal in August 1884?